The dawn of the new smartwatch era was been well and truly signalled with Apple's high profile arrival but there's an interesting trend emerging away from the hi-tech watch faces that garner most of the attention: smart straps. We're not talking smart as in stylish; as the latest consumer tech genre gathers momentum it's clear that a simple leather, or even a flashy crystal encrusted, strap just won't cut the mustard anymore. Smartwatch straps need to bring something to the hardware party, whether that be sensors, displays, battery boosts or more. IWC Schaffhausen is the latest luxury Swiss watch maker to add smart, er, smarts to the straps of its timepieces. The company recently unveiled its IWC Connect device: a circular module that attaches to the strap of its traditional timepieces to add fitness tracking and internet of things connectivity. German giant Montblanc's e-Strap is the company's answer to the increasing momentum of smartwatches, which threatens to present an even bigger challenge to traditional brands as digital watches, back in the 1980s. There's plenty to get excited about…. Pebble Time smartwatches, which will be hitting people's wrists this month, boast a smart accessory port that allows developers to build smartstraps too add extra functionality. What that extra functionality ends up being is totally down to the creative minds of the people building accessories; Pebble has left the door wide open and is encouraging engineers to go nuts. 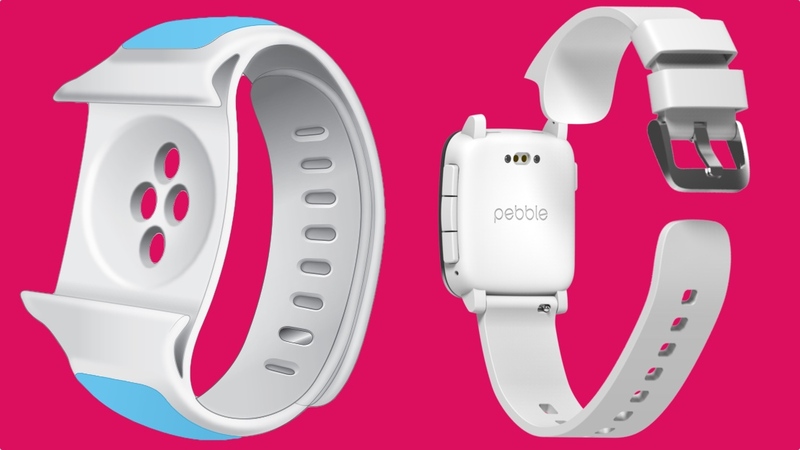 It even pledged $1m to help fund ideas and states it will back any Pebble Time smart strap Kickstarter campaigns it deems worthy. "We truly understand the value of backing projects in their early state, having started that way ourselves," a Pebble statement read. "From there, we expect many projects to evolve into products fit for wider release. Not every single project will get funding from Pebble; we'll use our best judgment to support the most promising and innovative projects." There are some awesome ideas already, such as The Xadow modular smartstrap (pictured above), which adds a raft of modules including NFC, GPS, heart rate readers and even an OLED display. We still have our doubts that this device will ever actually hit the real world but, given the Japanese company's previous form in stunning and surprising us (check out our SSW smartwatch first look), we'll stay open minded. Because, if Kairos pulls of the T-Band it could well have one of the most exciting wearable tech devices so far in its armoury. Launched and successfully funded at the end of 2014 on Indiegogo, the premise of the T-Band is that it will turn any dumb timepiece into a smartwatch. There are notification smarts and the band connects to an app for activity tracking. The LED screen spends most of the time off, and blends into the rubber strap when powered down. Battery life is said be two to three days. The top of the range T-Band OD (as pictured in the proof of concept video above) was said to come pacing a 170ppi P-OLED screen but the company has admitted it is struggling with "the complexity of creating a curved screen". April shipments were expected, we're now told T-Band arrivals will be 2-3 months longer. Let's hope that's the last of the delays. Yay – the Apple Watch has a secret port that allows data and power transfers. Boo ­– Apple is, predictably, a lot less open than Pebble when it comes to opening up its smartwatch ecosystem to the developer masses. The Cupertino goliath has just announced its Made for Apple Watch program - a list of requirements for designers and makers to meet before straps get the Apple seal of approval. Like the Made for iPhone stamp, this means that if you want to build an Apple Watch band or strap you'll have to jump through a few hoops first.